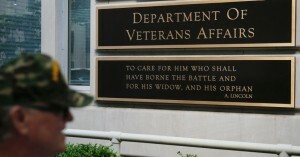 U.S. Rep. Mike Coffman has been calling for the resignation of VA Secretary David Shulkin since February, when the inspector general revealed the secretary and his staff misled ethics officials and lied to investigators who were examining travel spending and other shenanigans. Shulkin didn’t listen, but President Trump did and on Wednesday he fired Shulkin and immediately nominated Rear Admiral Ronny Jackson for the post. The VA was mired in a culture of corruption and bureaucratic incompetence throughout the Obama administration, including the Aurora hospital boondoggle that Coffman has bulldogged for years. Care of veterans has also been questionable, especially at the relatively new clinic in Colorado Springs, where excessive wait times persist for patients to see a doctor. We wish Jackson the best of luck. He’ll need it to take on this mangled bureaucracy.